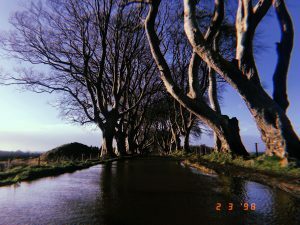 One thing I never thought I would do in my whole life, let alone while studying abroad is a road trip around Ireland. One thing I am not doing while I’m here in Ireland is operating any sort of vehicle so my friend, Sarah, who visited from the states last week for my semester break had the honor of doing that and she rocked it. There were a couple of nerve wracking moments, but overall it was an awesome experience. 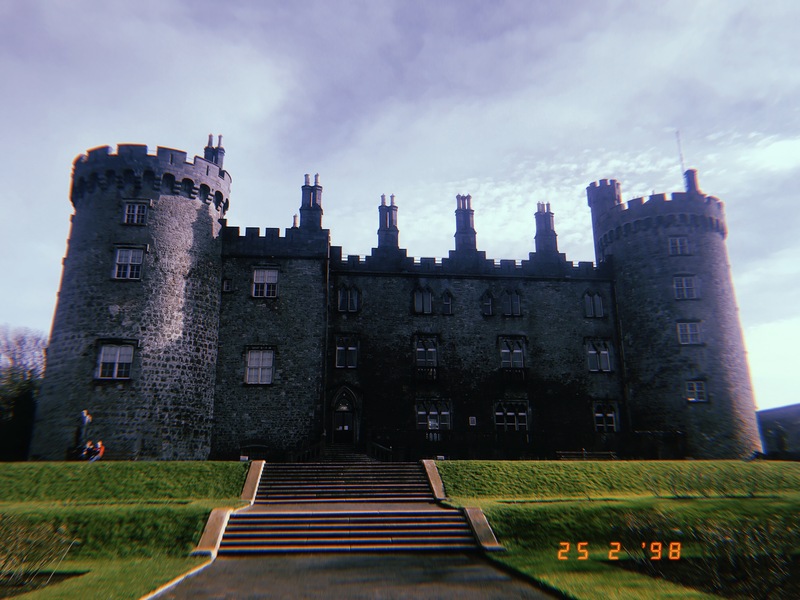 Road tripping around Ireland gave both of us the chance to experience the many different towns and cities the Emerald Isle has to offer. We started our journey on the southern coast visiting Kinsale & Kenmare. While down there we visited a couple castles and abbeys, we even kissed the Blarney Stone, which was scarier than expected. 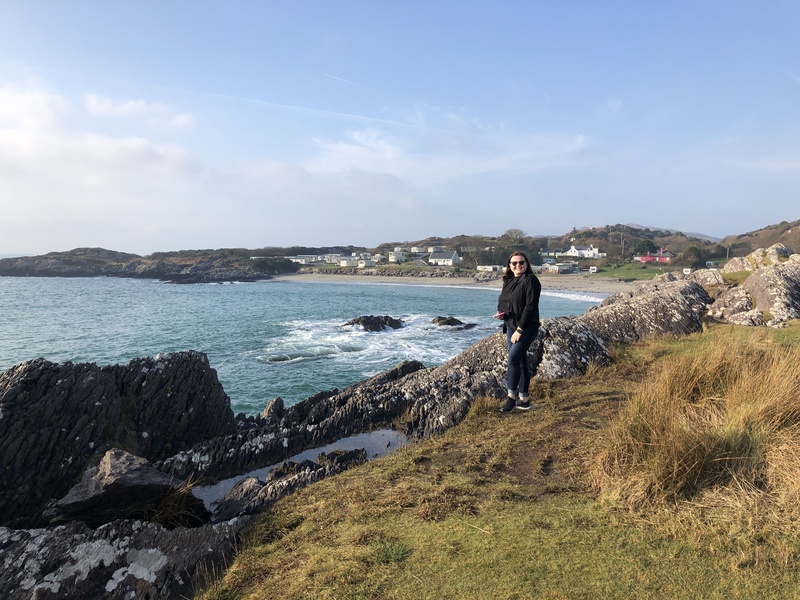 Our reason for going to Kenmare was to drive the Ring of Kerry, which lived up to how cool we had been told it would be. We explored beautiful beaches and touched what is supposed to be the warmer water in Ireland. 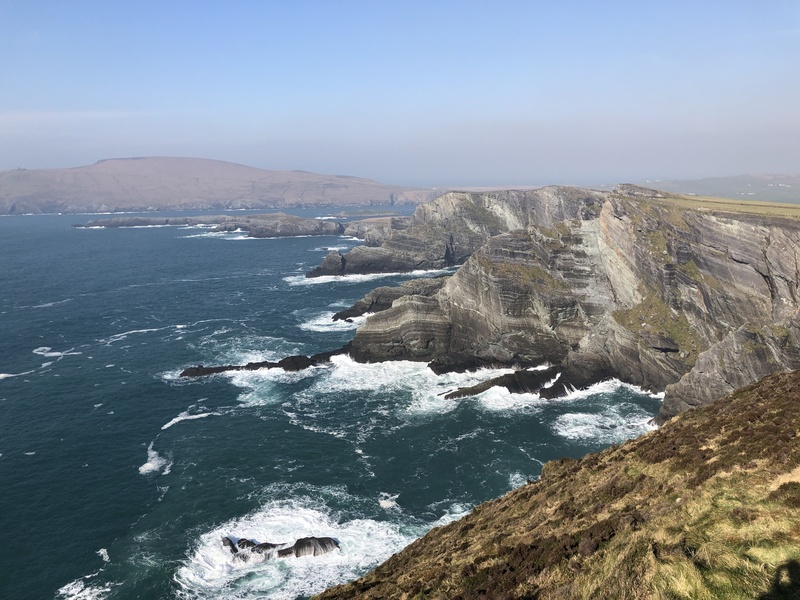 We didn’t visit the Cliffs of Moher on our journey, but we did see the Cliffs of Kerry and the views were incredible. 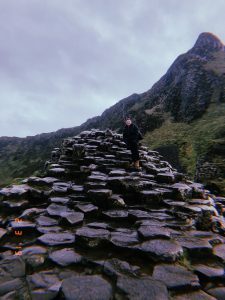 We also drove the Skellig Ring, which is cool for other Star Wars fans like myself because it is named after Skellig Island where they filmed a couple scenes from Force Awakens. Ireland is famous for it’s clouds and rainy days and for the first half of our week we experienced none of it. I was over the moon that the day we did the Ring of Kerry I didn’t have to wear a jacket half the time, it was a nice teasing of spring, but reality hit and it snowed in Dublin on Sunday. I can promise though, there are no polar vortex’s or negative temperatures in Ireland. The day after the Ring we explored Killarney National Park on our way north to Galway. Unfortunately that day the rain caught up with us, but the views were still phenomenal and we did a short hike to see the Torc Waterfall. In Galway we explored the town and listened to traditional Irish music before heading back to our B&B for the night. 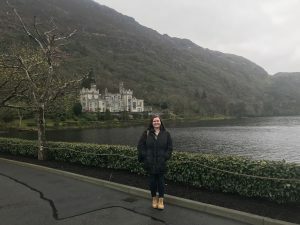 Friday, we had our longest driving day, we visited the Kylemore Abbey and enjoyed exploring it’s vast grounds before hitting the road to Belfast in Northern Ireland. It was a long drive, but we enjoyed seeing sheep and ruins along the way. On Saturday we hopped in the car again to head to the Antrim Coast. I am a huge Game of Thrones fan so Saturday was one of my favorite days. We visited the Rope Bridge to start and the day and we’re lucky to have perfect weather to cross the bridge. 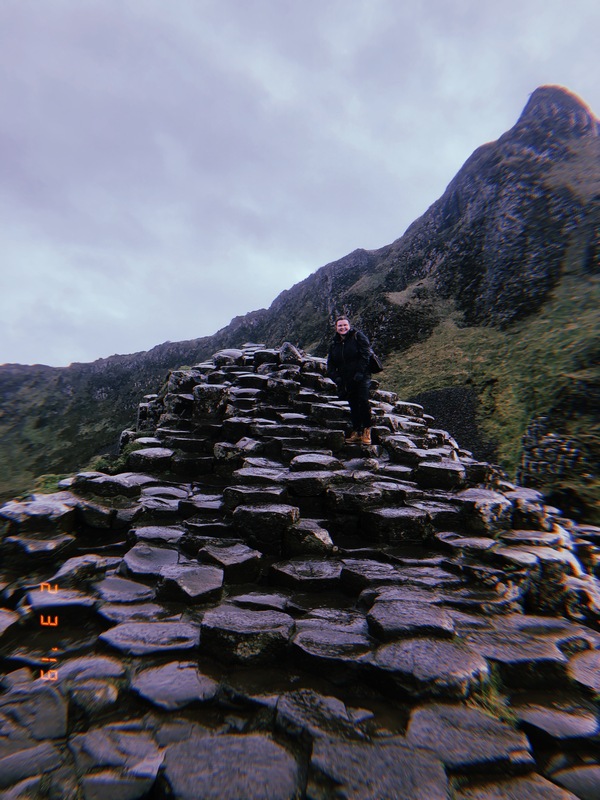 At our next stop, the Giants Causeway, we weren’t so lucky. We were met with gusting winds and sleeting rain, but that didn’t stop us, we climbed all over the stones and took on the wind to get some great photos. We were lucky enough that right before we left the sun came out and we got to see a gorgeous rainbow. 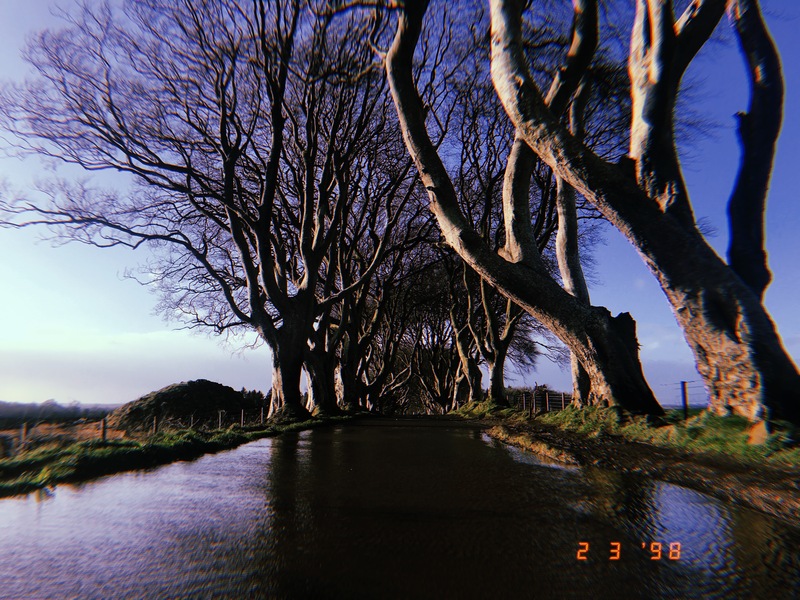 Our last stop of the day was the Dark Hedges, which on that day weren’t too dark because the sun has come back out. We returned to Belfast that evening happy, exhausted, and still a little soaked. On Sunday before heading back to Dublin we checked out the Titanic Museum, it’s a very cool experience, I specifically enjoyed the fact that the museum had a shape that resembles half of the ship. One hard thing for me during our road trip was fighting my fear of heights. I get anxious, but I have always promised myself that I wouldn’t let my nerves keep me from doing everything I want to here in Ireland. 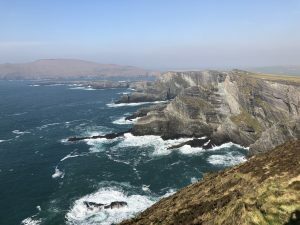 My pictures when we’re up high are not the cutest, I often looked a little pained, but I can say I walked across a rope bridge and climbed to the top of the Cliffs of Kerry and I loved them both contrary to what my facial expression may say. The time continues to move quickly and I’m trying not to think about the fact that I have to say goodbye in a little over a month. It is a bittersweet feeling because I miss my family and friends back home, but I’ve also been lucky enough to form a close knit group here in Dublin that I’m going to struggle to say goodbye to.